Analytics has evolved from functioning as a finance and administration tool to an expanded role that includes integrating financial and clinical data. As the industry moves from fee-for-service to value-based care, providers will be consumed with analyzing payer- and patient-related data from diverse internal and external sources. 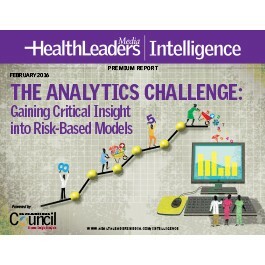 Accurate and detailed analytics are vital to evaluating organizations risk.